With its crystal clear waters, prolific coral formations and an array of marine life, it is little wonder then that Redang has earned for itself the enviable reputation as one of the best marine parks in the world. Redang island offers the marine sports enthusiast unrivalled opportunities for scuba diving, snorkeling, wind surfing, fishing and lots of sand and sun. 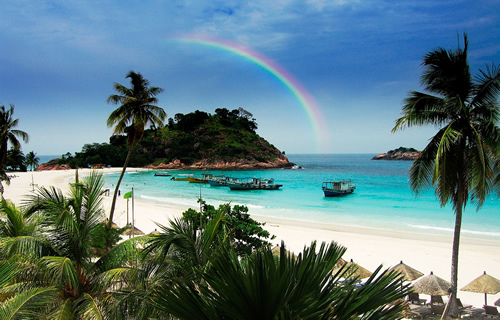 Pulau Redang and its neighbouring islands is a protected Malaysian Marine Park and also one of the most popular islands off Peninsular Malaysia for snorkelling and diving due to its rich diversity of coral reefs and other marine life. 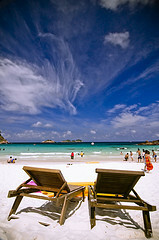 Pulau Redang is located in the South China Sea off the East Coast of Peninsular Malaysia within 5°44' - 5°50' North latitude and 102°59' - 103°5' East longitude. It lies about 45 km north-northeast of Kuala Terengganu, the state capital of Terengganu, and about 22 km off Tanjung Merang, the closest point on the mainland. 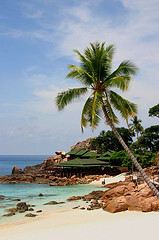 The first settlers of Pulau Redang were believed to be the Bugis from Celebes, Indonesia. They established their first village at Teluk Kalong and later moved south to Pulau Pinang ("betel nut palm island"), the island where the Marine Park Centre is located. Until recently, Kampung Air ("water village") at Pulau Redang was home to a community of about 250 fishermen families believed to be descendants of these original Bugis settlers. Many have since left the fishing trade and moved into the rapidly growing tourism industry. When Kampung Air was torn down in 2001, a number of these families were relocated to the village inland, while others chose to move back to the mainland. 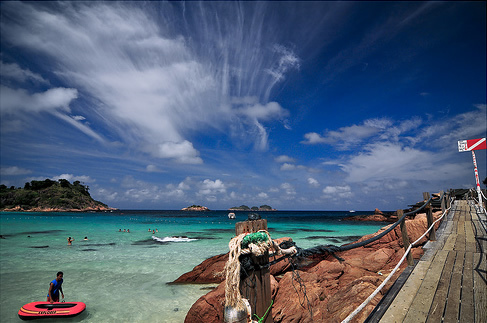 Pulau Redang and its neighbouring islands became a protected Malaysian Marine Park in 1991 and is currently managed by the Ministry of Natural Resources and Environment (NRE), Malaysia. Impact from human activities are managed to protect the marine environment and to conserve its coral reefs.